Discussing research methods and UX. I find qualitative the most relative to my career. Specifically interviews of subjects. The reason being is I am going into development for the web along with user experience (UX). The reason behind this is UX involves a lot of research involving users. You have to judge how users feel and interact with your page. It’s a very complicated process and takes a lot of man power to work out. People who specialize in it spend years perfecting the art of UX. 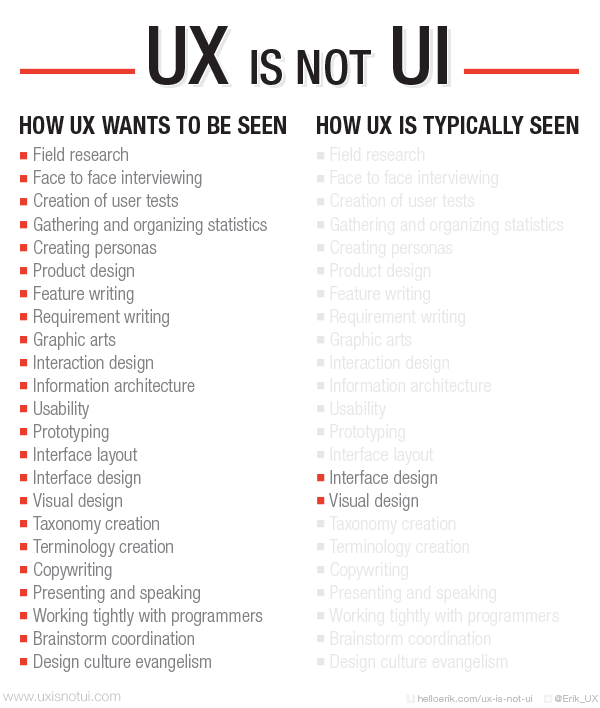 UX involves a lot of disciplines one of which is research. One of the biggest misconceptions about UX is it is not UI design (Flowers, 2012). UX is one of the most open ended paths to take with any web discipline. One of which is field research and face to face interviewing. Where does this fall in the spectrum of research? You guessed it, qualitative research. Doing research on UX is a one of the biggest disciplines for people who develop UX. It takes a large majority of the design process. Without research UX would be impossible to achieve and have it work correctly. Take for example Desire2Learn (D2L). If someone had simply taken the time to do some UX research on this site it would be so much better. The least relevant for my chosen profession would be surveys. They do not give you a large grasp of how people feel about a design. When it comes to good UX it is always a smart choice to hold focus groups and gather information from them that way. A survey is just a simple question and answer session with no commentary to full back it up. With UX you want to know people’s opinions and concerns when it comes to your project. Otherwise you can’t answer some of the most burning questions when it comes to perfecting UX. ← I am too tired to think of a witty title.